Today’s outfit is all about bright Neon’s! 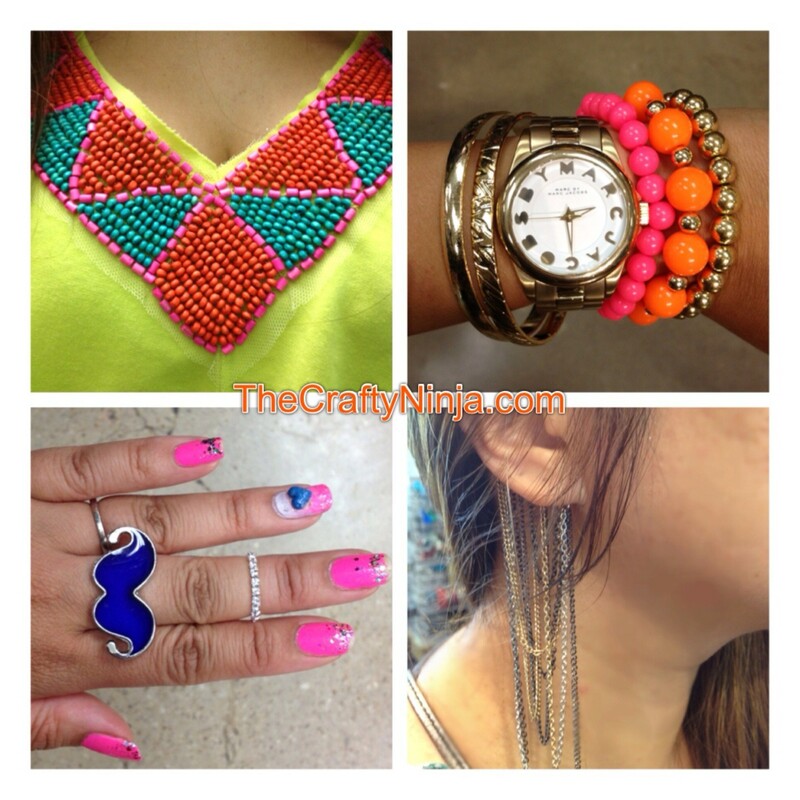 The beaded collar neon shirt is from Rue21. Neon bright and gold bangle bracelets from Rue21 (I like this one here). Mood mustache ring from (similar one here) and a stretch Rhinestone ring (similar one here) both from Rue21. And chain earring cuffs from Clarie’s (I like this one here and here). My nails are China Glaze Shocking Neon Pink. 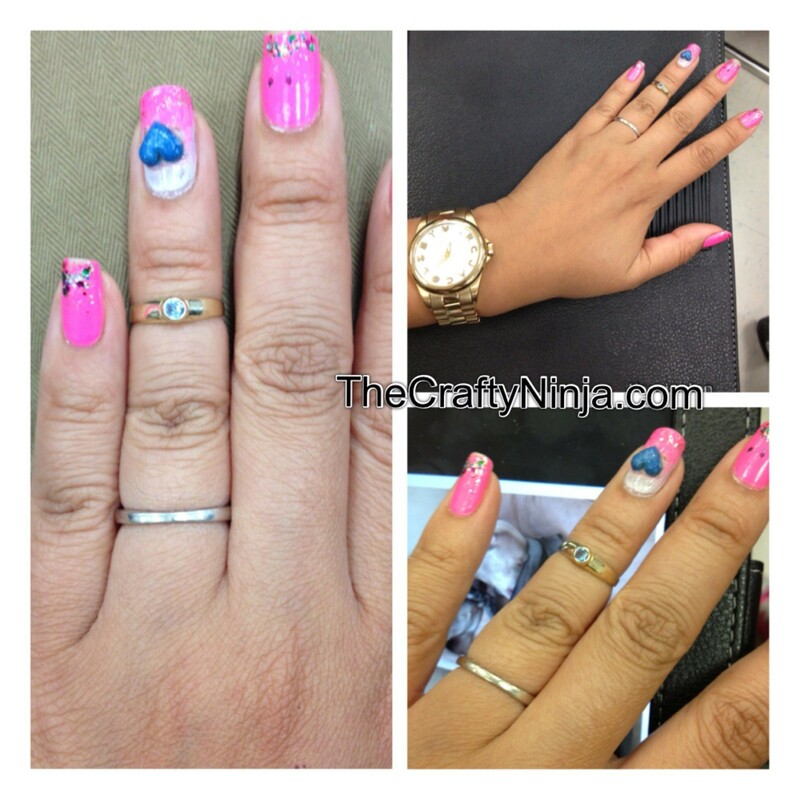 I’m currently obsessed with small finger rings to create a double finger ring look. To get this look I purchased a ring that was a couple of sizes too small to fit on the top.